Cundiff & Associates, CPA, P.C.Brian D. Miller - Cundiff & Associates, CPA, P.C. Brian D. Miller - Cundiff & Associates, CPA, P.C. 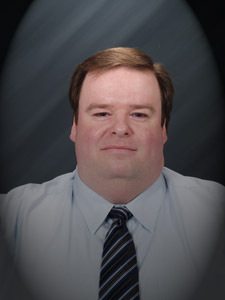 Brian’s expertise is in the field of benefit plan audits and is certified by the VSCPA to perform peer reviews. His experience with Cundiff & Associate, CPA, P.C. includes preparation of income tax returns, monthly and quarterly write-up work, compilations, reviews, audits, payroll tax returns, sales tax, and training / assisting clients with their accounting software and systems. Brian is an advisor for QuickBooks and Sage 50 (Peachtree) accounting software. He has experience with a variety of clients that include individuals, partnerships, corporations, not-for-profit entities. Brian graduated from Shepherd College in December of 1997 with a degree in accounting. In February of 1998 he became the first full-time Manassas employee with Cundiff & Associates, CPA, P.C. Brian was recognized by the Commonwealth of Virginia as a Certified Public Accountant on March 13, 2003. Brian attends more conferences and continuing education programs than is required by the Board of Accountancy in order to stay up to date on all the latest changes in law and accounting practices. Brian’s professional associations include the American Institute of Certified Public Accountants (AICPA) and Virginia Society of Certified Public Accountants (VSCPA). As a member of the Prince William County – Greater Manassas Chamber of Commerce, he attends some of the local events in and around the Manassas area.